Many thanks spaceship dispatcher. I was also thinking that if the unused scripts and greatly changed ones was not possible, then, for me, the novels would have to be the next best thing. I know the John Garforth ones are not highly regarded. He himself disowned them, and admitted that he hadn't even seen the TV series when he wrote them! But the Patrick Macnee & Peter Leslie ones -Deadline & Dead Duck are at least more in the spirit of the series and could make for good audio adaptations. Again, this is more preferable to me than adapting existing TV episodes because it is at least new ground. I especially like Deadline - the story has the serious spirit and noir style of series 4, plus I enjoyed the international touch with Mrs Peel's appointment in Amsterdam. 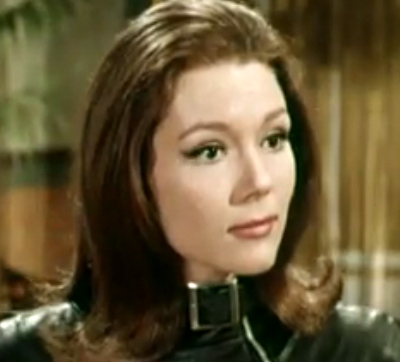 Recently listened to the second set of Steed and Mrs Peel audios and absolutely loved them, just as much as the first set and the Keel episodes. I find both Julian Wadham and Olivia Poulet so relaxing and easy to listen to, their witty and sharp rapport a lot of fun. Playtime is Over featured one of my favourite jokes in an Avengers audio script, as Emma reads through the list of toy shops, and the way the plot moved through a few twists and turns was very neat. The Mad Hatter was sounding good to be my favourite of series two, with its ludicrous Tara era style, until The Secret Six came along and blew me away with its country house duel between heroes and villains that kind of reminded me of a cross between The Prisoner tv series and the film The Beast Must Die. I'm sad that no more are planned at the moment, as I'll miss both the series and the lead actors in these roles.